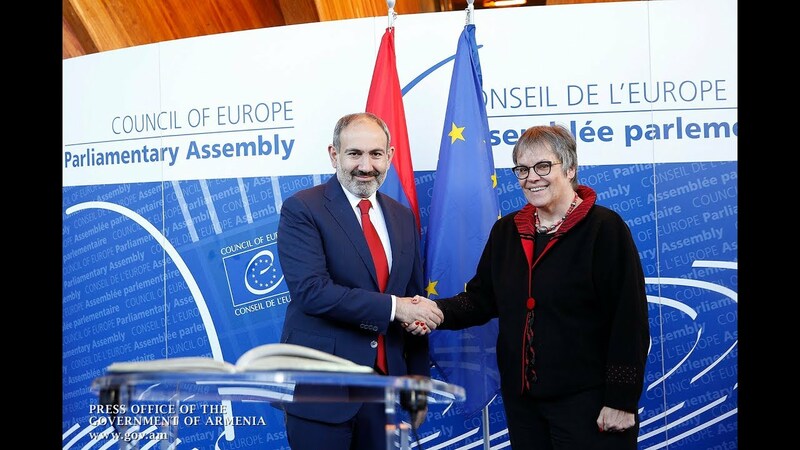 Armenia and Canada need to embark on active efforts to translate the positive atmosphere in the bilateral relations into more promising steps, Prime Minister Nikol Pashinyan said today, summing up his meeting with the Canadian premier. Pashinyan also hailed the existing good atmosphere allowing the two countries to develop and expand the mutual dialogue. “We clearly agreed that the positive atmosphere needs to be translated into real action,” he added. Trudeau arrived in Yerevan on an official visit on Thursday to take part in the 17th Summit of the International Organization of La Francophonie (OIF). The biannual meeting of government members from French-speaking countries brought together national delegations from the organization’s 45 member states to Armenia's capital to discuss shared interests, and the pressing concerns and challenges across the Francophonie region. Earlier today Trudeau visited the Armenian Genocide Memorial Complex to bow to the memory of the big tragedy's victims. Pashinyan said that he and the Canadian prime minister discussed also prospects for strengthening the relations. “The relations between Armenia and Canada can be really said to be extremely brilliant today. The outcomes of our meetings allow me to treat him as a good friend and a close person – also for myself personally. I want to sincerely express my delight with Mr Trudeau. I am hopeful we will have numerous more occasions to meet in the future to allow our dialogues to yield specific outcomes,” he added.